No interest. No problem. 0% finance. At Ware With All we want to make buying your new luxury bathroom as easy as possible. We know that sometimes there has to be a compromise between our wants and desires and our budget, which can be frustrating to say the least. That is why we have come up with our amazing finance package to help you along the way. With 0% finance spread over 12 months you can now afford to push the boat out on your brand new luxury bathroom. 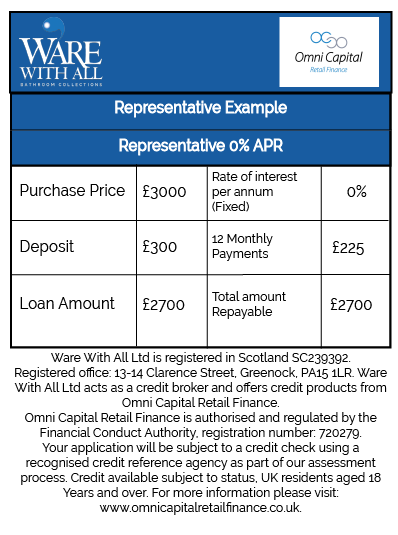 Our finance is provided by Omni Capital Retail Finance. For more information contact a member of our team now.